In its report Libraries Deliver: Ambition for Public Libraries in England 2016 to 2021 the Libraries Taskforce challenged central and local government to adopt a ‘libraries first’ approach when looking at options to deliver information or services to local communities. 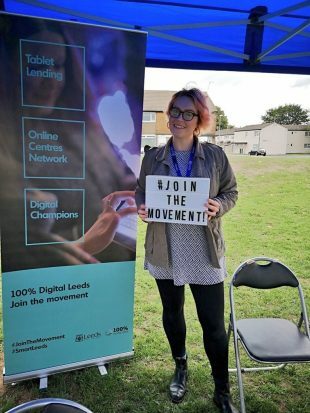 Leeds City Council is taking that approach in relation to digital inclusion, with the library service leading the city’s 100% Digital Leeds programme. Leeds Library and Information Service has a long track record of delivering digital inclusion activities. We have always been one of many agencies and organisations addressing digital inclusion in various ways across the city. When the council decided to consolidate its efforts, it chose the library service to lead the city’s digital inclusion programme. We were asked to build a coherent digital inclusion movement, coordinating and reporting progress across sectors and across the city. We are also reporting annually to a council Scrutiny Board inquiry which is providing ongoing governance and oversight of the 100% Digital Leeds programme. 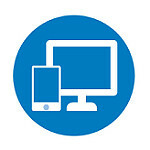 As outlined in our latest update to Scrutiny Board, we’ve received additional investment so that we can tackle the barriers to digital inclusion thoroughly and effectively, in collaboration with partners across Leeds. To enable the library service to deliver the 100% Digital Leeds programme, we have received 2 funding allocations totalling over £750,000. Investment on this scale demonstrates the council’s commitment to tackling digital exclusion. It also demonstrates confidence in the library service’s ability to deliver this high-profile programme. Engage organisations: plan and deliver high-profile events to raise awareness with local organisations, find out more about local community barriers and unite local organisations with a sense of shared purpose to form a lasting support network working towards digital inclusion. We need to fully evidence the return on investment into our digital inclusion programme so we are recording the impact on individuals, their families, local communities and the wider city and economy. We are also building capacity in local organisations and working with partners across the city to help them tackle digital inclusion in their communities. We will report these case studies on our digital inclusion blog. We should be able to model savings and the potential additional economic benefits of digital inclusion for citizens, including cost/time savings, gains in earnings and employment, and savings to the NHS from increased health and wellbeing. We are working closely with Good Things Foundation on this. Their recent report ‘The economic impact of Digital Inclusion in the UK’ highlighted the benefits of getting 100% of the UK thriving in a digital world by 2028. We are now working more closely at a strategic level with colleagues across the council: attending Housing Leadership Team meetings and Board meetings; discussing the benefits of digital inclusion with Adults and Health teams in the council; supporting the Universal Credit Implementation Group; and reporting to Smart Cities Portfolio Board and Scrutiny Board. We’re working with new partners and community organisations at a local level across Leeds. We’re also working with West Yorkshire Combined Authority to support their digital inclusion work at a regional level. 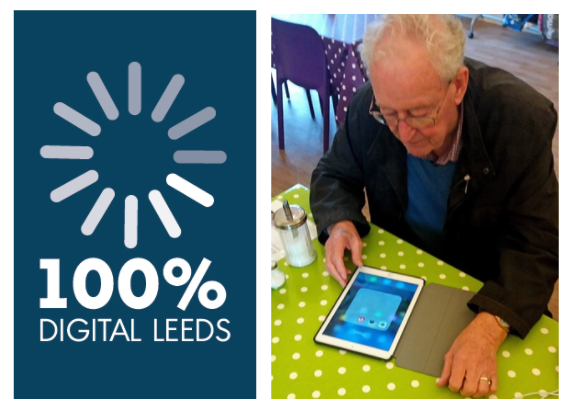 As well as benefiting individuals and communities by increasing digital inclusion across Leeds, our role leading the city’s 100% Digital Leeds programme has brought new opportunities for Leeds Libraries. We will maximise those opportunities to show that, with investment and strategic support, Libraries Deliver.